The President of the Etche Farmers Cooperatives, Mr Godwin Akandu, has called on the Rivers State Government to establish cottage industries across the 23 Local government areas of the state. Akandu who stated this while speaking to The Tide yesterday in Port Harcourt explained that every LGA in the state is blessed with a particular agricultural product which naturally warrants the siting of small and medium enterprises (SMEs) in the various localities. He disclosed that while Abua was noted for the popular “queen” pineapple, Etche is noted for production of cassava and yams. According to him, cottage enterprises are the drivers of any economy even as he lamented the absence of such enterprises in the country and the state in particular. 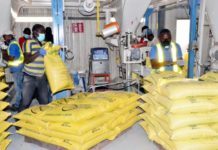 “With the abundance of pineapples, an industry for soft drinks could be sited in Abua while an industry for cassava and yam flour can be sited at Etche”, he said. 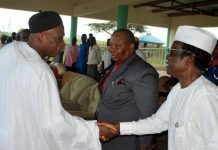 Shedding more light, Akandu, who is also a renowned farmer, however, advised the government to liaise with relevant farmers’ cooperatives across the state in order to keep abreast of their needs. He explained that this would enable the government determine the need or otherwise for setting up of any cottage industry in a particular area in respect of what they had in the area of comparative advantage. “While Abua and Etche are noted for pineapple and cassava and yam respectively, the riverine areas are noted for fish and every other sea food”, he said. He added that such industries would not only create employment for the rural people but would also check rural-urban migration nation wide.